Ferrari team principal Marco Mattiacci says Kimi Raikkonen put in a “terrific” race in Brazil en-route to a seventh place finish. Raikkonen opted for a two-stop strategy, but lost out to team-mate Fernando Alonso near the end, when the three-stopping Spaniard got ahead. 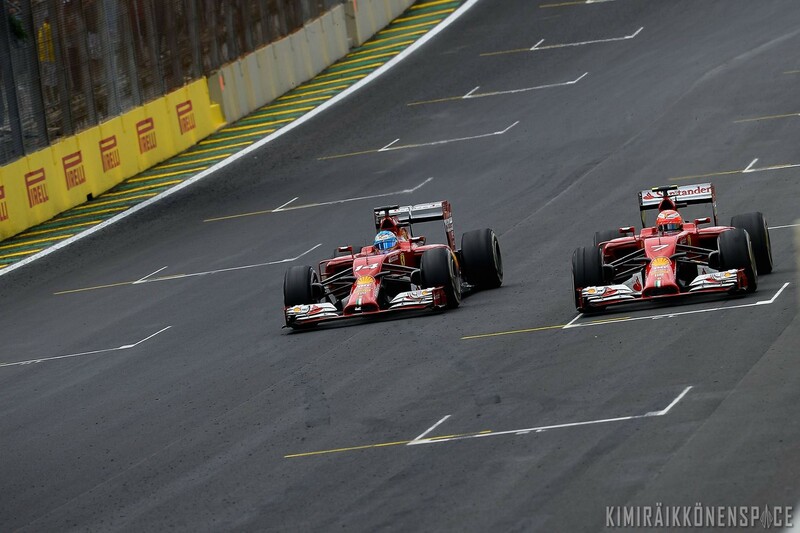 “I think we have seen a very positive Kimi this weekend, he is a top professional. He really did a terrific race as Fernando did too. But considering where we are coming from, I would say this was one of the first weekend’s where Kimi felt the car suited him and we are seeing that in the way he was racing,” Mattiacci told reporters following the 18th and penultimate round in the 2014 F1 World Championship. Asked about Raikkonen’s slow second stop – the Finn lost around seven seconds, Mattiacci added: “Unfortunately there was this issue at the pit stop with Kimi, but it happened. “I am extremely confident in the work all the guys are doing during the stops – they are excellent guys. “If I tell you what we have experienced during the weekend, they did a phenomenal job to make sure the car was ready to go to the grid, so it can happen. But I don’t think this would have changed dramatically the result. “I think we should have probably done a better qualifying but overall [as I said] the guys did a phenomenal job. We are building step-by-step preparing for the future. Fernando and Kimi thrilled the crowd, putting on a duel that lasted a few laps, with the Spaniard closing on the Finn and using his fresher tyres to get past in the closing stages. In fact, Kimi had a very competitive race, running a brave two stop strategy, compared to the three tyre changes made by the majority, including Fernando. On the Medium tyre, the Finn ran the longest stint of anyone in the entire race, doing 36 laps after his second stop. Unfortunately, it was a slow one, because of a problem with the front jack that delayed the change of his front right wheel, costing him precious seconds, before he set off for on that massively long run to the flag.